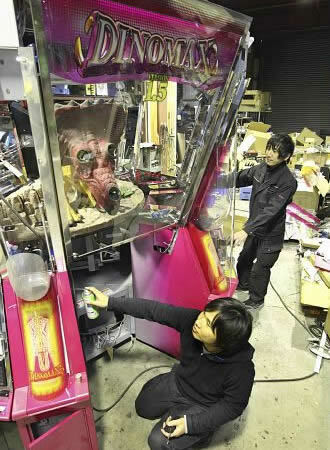 The good old amusement machines are lined in the warehouse in Taisho, Osaka. made young people crazy about from late '70 to '90. They are waiting to be shipped after the refurbished. 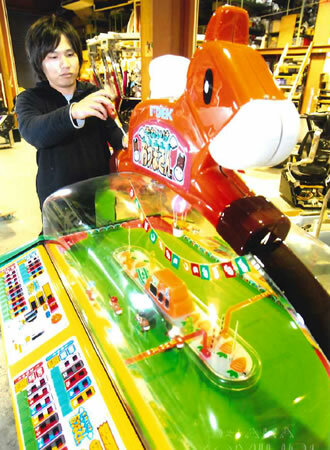 The amusement machine distributor called 「US INDUSTRIAL CORPORATION」made more than 1000 units of used amusement machines rebirth every year. Sometimes they remake machines with tons of spare parts. President Kanji Mori says Japanese machines are very popular among overseas customer because they are very tough and sophisticated. many inquiries from more than 60 countries like China,Russia,Middle East and Europe. 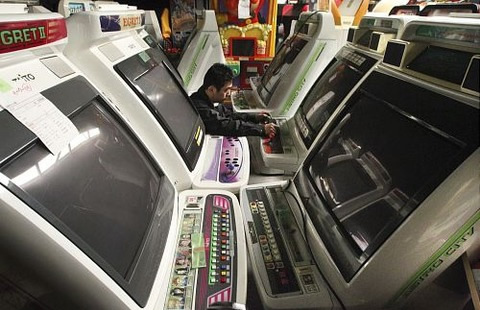 Last year they opened a game center in Phnom Penh,Cambodia. Service staff Mr Hirota says I want a game lover to be glad. 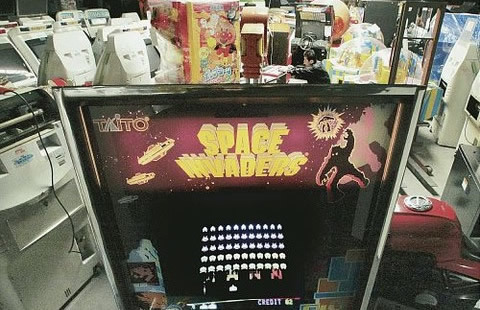 The Invader game which was explosively popular. It's waiting to become popular abroad. Big medal machine which has been repaired. The elaborate dinosaur is also popular oversea. Copyright © 2012 US INDUSTRIAL CORPORATION All Rights Reserved.